In 2013, after a very small outbreak of Dengue in South Florida, we saw Dengue Force Suspension Of Blood Donations In Two Counties. It was a temporary measure, and that outbreak ended quickly, but it illustrates the dilemma blood donation centers face when a blood borne pathogen like Dengue - or Zika - threatens a community. In areas without active Zika virus transmission, the FDA recommends that donors at risk for Zika virus infection be deferred for four weeks. Individuals considered to be at risk include: those who have had symptoms suggestive of Zika virus infection during the past four weeks, those who have had sexual contact with a person who has traveled to, or resided in, an area with active Zika virus transmission during the prior three months, and those who have traveled to areas with active transmission of Zika virus during the past four weeks. In areas with active Zika virus transmission, the FDA recommends that Whole Blood and blood components for transfusion be obtained from areas of the U.S. without active transmission. Blood establishments may continue collecting and preparing platelets and plasma if an FDA-approved, pathogen-reduction device is used. The guidance also recommends blood establishments update donor education materials with information about Zika virus signs and symptoms and ask potentially affected donors to refrain from giving blood. The situation in South and Central America, and the Caribbean, is much different, with the virus actively spreading in more than 2 dozen nations. Under almost any imaginable scenario the United States will have ample regions unaffected by Zika to draw from. The same cannot be said for many Latin American and Caribbean countries. Today the World Health Organization has published a 4 page document outlining the steps countries need to take to help protect their blood supplies from Zika contamination. I say `help', as these guidelines are designed to `reduce the risk', but cannot completely eliminate it. There are many challenges for blood collection centers, not the least of which is the lack of commercially available tests to screen blood donations for the Zika virus. These guidelines have been developed in recognition that infection with Zika virus may present a risk to blood safety, and in consideration of the declaration on 2 February 2016 by the WHO Director-General of a Public Health Emergency of International Concern with regard to clusters of microcephaly and other neurological disorders, potentially associated with Zika virus. Currently there is limited knowledge of Zika virus biology and lack of definitive evidence of a link between infection and potential complications. These guidelines will be regularly reviewed and updated as new information becomes available. Blood collection may need to continue in affected areas during a Zika virus outbreak in order to ensure ongoing and timely access to sufficient blood and blood components. This may be necessary when an outbreak affects most of or the entire country, or when it is logistically impossible to source blood from non-affected regions of the country. The following measures for reducing the risk of Zika virus transmission through transfusion may be considered in areas with active Zika virus transmission. ii. donors with a recent clinical history consistent with Zika virus disease, for example a combination of fever or rash with conjunctivitis, or arthralgia, or headache or malaise . Sexual partners of men with confirmed or suspected Zika virus infection in the last three months should be deferred for 28 days after their last sexual contact. Blood donors must be informed and encouraged to provide post-donation information and asked to report to the BTS if they subsequently become unwell with signs and symptoms suggestive of Zika virus infection, or if diagnosed with Zika virus infection within 14 days after blood donation. Implicated blood components that have not been transfused should be recalled. Tracing of patients who have already received blood or blood components from implicated donations should be performed, and evidence for transfusion-related transmission collected. Blood donations may be tested for the presence of Zika virus by appropriate tests. Viral RNA is the first detectable marker in Zika virus infection. 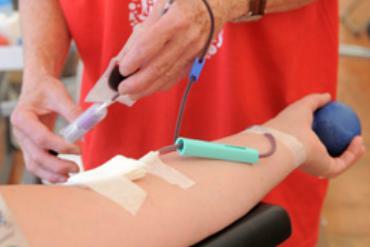 NAT-based tests are therefore the most appropriate for donor screening. However, there are currently no commercially available NAT assays for Zika virus RNA detection designed to screen blood donors. Sensitive NAT tests designed for diagnostic purposes may be used for small-scale screening of blood donors after respective validation. In-house developed NAT tests may also be suitable, but should be properly validated for donor screening. 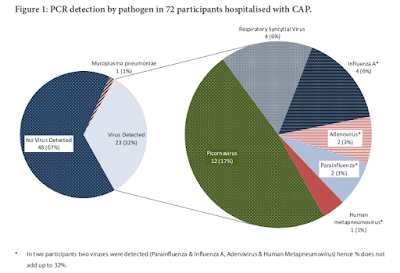 Theoretically, viral antigen is another marker potentially detectable in the viraemic period of incubation and during asymptomatic infections. However, antigen tests are generally associated with lower sensitivity when compared to NAT, and commercial Zika virus antigen tests are not yet available. Zika virus antibodies become detectable at the later stage of infection and are not estimated to be indicative for active infection. A potential problem is the cross reactivity of antibodies against related flaviviruses (e.g. dengue, yellow fever) in anti-Zika virus assays. WHO is currently working on the provision of international reference preparations for Zika virus RNA and for Zika virus antibodies to be used for comparative evaluation of both diagnostic and screening assays. Pathogen reduction technology (PRT) may be implemented. PRT is currently available for plasma and platelets, but not for whole blood or red blood cells. Different PRTs have been shown to be effective against other flaviviruses (e.g. West Nile, dengue) [10,11,20] and, in the absence of Zikaspecific information, are presumed as equally effective against Zika virus. Blood components of appropriate shelf-life (e.g. red blood cells) may be quarantined for a period of 7–14 days, and subsequently released following confirmation from the donor that they have not experienced symptoms consistent with the acute phase of Zika virus infection during the quarantine period. Despite the majority of Zika virus infections taking an asymptomatic course, this measure could prevent at least a proportion of viraemic blood components from being transfused. As platelets are characterized by a more restricted shelf-life, a quarantine period of three days may be considered.